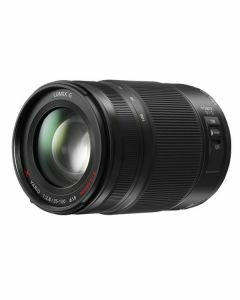 The Panasonic 35-100mm f2.8 LUMIX G X VARIO POWER O.I.S Micro Four Thirds Lens features a constant bright f2.8 aperture throughout the entire zoom range. This fast zoom telephoto zoom lens for Micro Four Thirds cameras features a metal body which is dust and splash proof. The lens is also equipped with Power OIS (Optical Image Stabilisation) to reduce blur and uses Panasonic’s Nano Surface Coating to minimise flare and ghosting. The superior inner focus system enables excellent resolution and contrast.